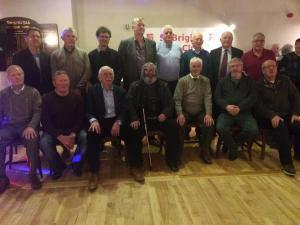 Our 1980 Intermediate Champions gathered in Russell Park on Saturday 9th April for a reunion night and celebration of their football championship victory. A great night was had by all catching up with team mates and remembering the late Robert Stephens, one of 5 brothers on the team. Lots of great stories on the night such as playing 4 matches, getting a penalty in every game scored by the same player Liam Keating! Thanks to all who came along to celebrate the night.